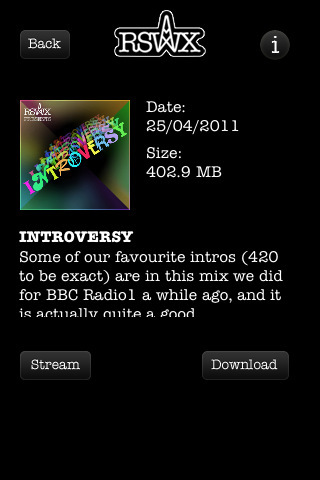 Have you seen Soulwax’s iPhone app yet? 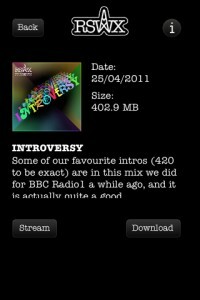 Pegged as ‘a radio station, but not as you know it’, it allows you to listen to a growing collection of 24 hour-long mixes with visuals. The description informs us that these mixes are that in name only, and should be viewed more like musical films based on the record sleeves. It’s free to download and free to stream, then you just pay to download. The duo will be making more of the tracks available to view over the coming months, and see this as their alternative to making a new 2manydjs album. They wanted to try something different, and personally, I love it.